Track jacket from Marc Jacobs; Hat from Stephen Jones for Marc Jacobs; Earrings from Jennifer Fisher Watch and ring from Graff. ELLE is getting its freak on! 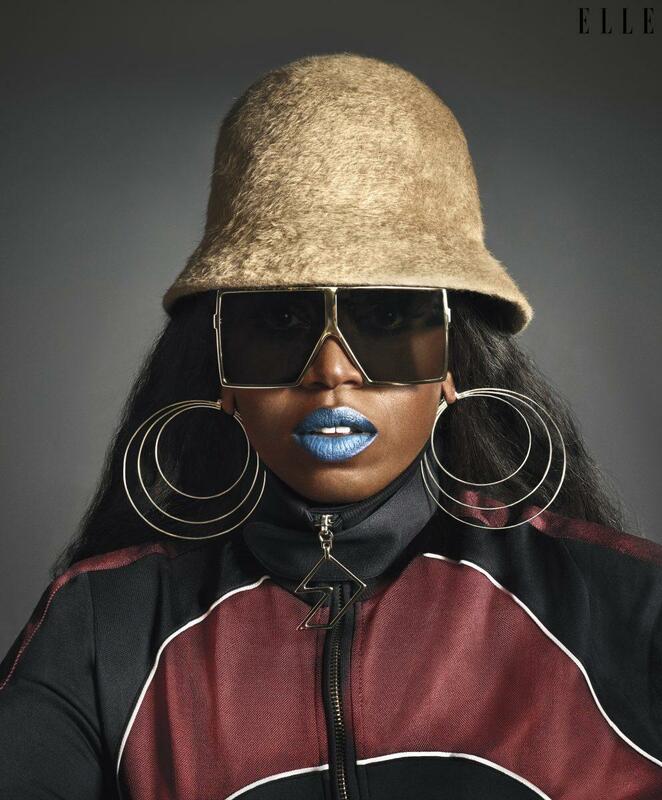 The glossy enlisted Missy Elliott to front its Women in Music June issue, which hits newsstands on May 18. For the cover and feature, shot by Mark Seliger, stylist Samira Nasr dressed Missy in a track jacket and hat from the Marc Jacobs Fall 2017 collection, which has major hip-hop influences. 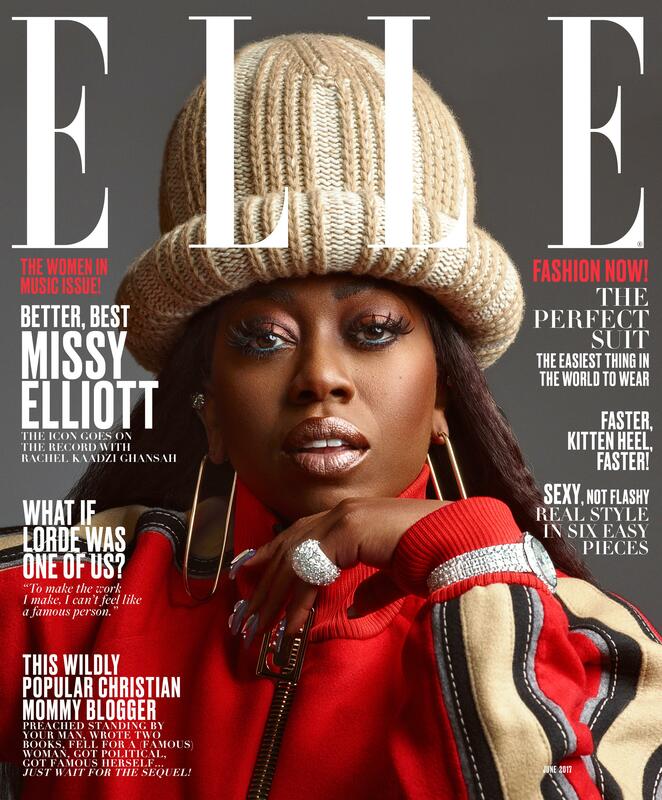 Jacobs is an outspoken fan of Missy, having cast her in his Fall 2016 campaign and proudly leaking the news about her ELLE cover coup on Instagram before it was announced. The rapper recently released her latest single, “I’m Better,” (fueling rumors that she’s gearing up for her first full album since 2008) and is debuting a documentary about her career later this year. Ahead of the newness, she sits down with ELLE to discuss her iconic moments and fame today. Jumpsuit by Versus Versace; Bucket hat by Stephen Jones for Marc Jacobs; Sunglasses by Saint Laurent by Anthony Vaccarello; Earrings by Lynn Ban. Rocketdog’s ’90s Platform Sandals Are Back!